Lovely dark amber footed candleholder in the kings crown pattern by Tiffin. 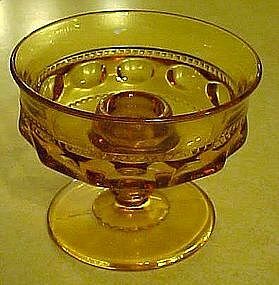 These have the elonglated circles before Indiana glass bought the mold and produced the round circles in the 70's. Measures 3 1/4" tall. I have 2 that are perfect. Price is for each.